Modified heavy trucks FET Tax IRS crackdown | Adding axels for FET tax. The IRS is always looking for quick ways to collect more money and they’ve found a new target: fleet owners and operators who have dodged the hefty 12% tax on trucks over 33,000 pounds GVWR. If you’re running trucks that were purchased below the 33,000 pound threshold and then modified above that capacity, keep reading to understand your risk and what to do about it. No doubt you’re familiar with the Retail Tax on Heavy Trucks, Trailers and Tractors, often just called Federal Excise Tax or FET. This tax, defined by Tax Code Section 4051 (CFR 145.4051-1), imposes a 12% tax on the sales price of the first retail sale of trucks with a Gross Vehicle Weight Rating (GVWR) in excess of 33,000 pounds. The seller is responsible for paying the tax to the IRS and should collect the 12% from the buyer at the time of the sale. That seems simple enough. But the heavy truck tax code is still the subject of much confusion, misinformation and rumor. A simple Internet search returns thousands of pages of discussion about the FET and when it’s due, particularly when a truck is modified after purchase. Myth #1: You can buy a truck with a GVWR below 33,000 pounds, then have the truck immediately modified by a third party to increase the GVWR without owing FET. Myth #2: If a truck is modified more than six months after initial purchase, no FET is due. Myth #3: If a truck is modified more than six months after initial purchase, FET is due, but only on the cost of the modification. So, what is the truth? The bottom line is very simple: Code of Federal Regulations 145.4052-1(c)(1) states that trucks modified to GVWR in excess of 33,000 pounds are subject to the retail heavy truck tax, period. And the 12% tax is due on the entire value of the truck; there is no six-month window eliminating or reducing the FET. A Michigan fleet manager added pusher axles to four trucks, three new and one a couple years old, bringing the carrying capacity of all above the 33,000 GVWR threshold. He claimed the cost of the axles as a deductible expense on his tax return. His return was audited, and the owner was hit with a tax bill in excess of $80,000 for the unpaid FET, penalties and interest. That’s a costly mistake, and the repercussions could be much worse. Intentionally acting to avoid this tax could meet the definition of criminal tax evasion, a felony that can carry a long jail sentence. What that fleet owner should have done was to pay the 12% FET when he filed Form 720, Quarterly Federal Excise Tax Return. The IRS treats truck modifications like these as if the owner had sold the truck in a fully taxable transaction. To declare the tax, the owner calculates the value of the truck plus the cost of the modification (the new axles, in this example) and enters the 12% tax on the total value on line 33 of the form. And writes a check, of course. Can your FET records withstand scrutiny by the IRS? If you are in the Detroit area and have any reason to be concerned about the tax status of your fleet or if you’ve already received a letter from the IRS about a 720 audit, immediately consult a local, Michigan tax attorney. Don’t let unpaid FET go unpaid any longer or face auditors alone when there is a very real risk of heavy penalties or felony charges. 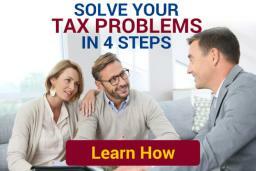 What Do I Need To Know About Paying FET Taxes? What is an FET Audit?